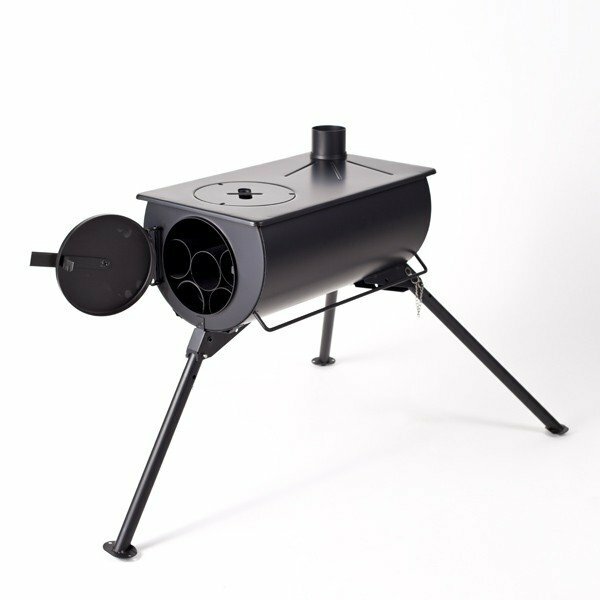 The Anevay Frontier Stove is portable and lightweight weighing only 10Kg. 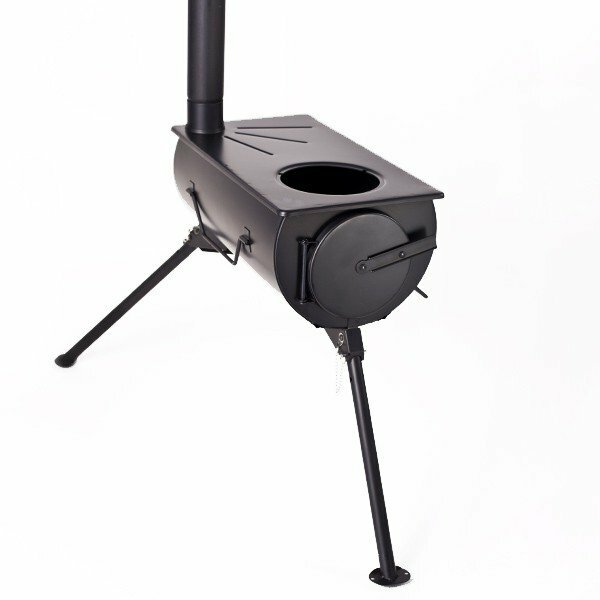 It is surprisingly compact as the flue packs away inside the belly of the stove and the legs can be folded away. It is easy to set up and simple to use, giving off approx. 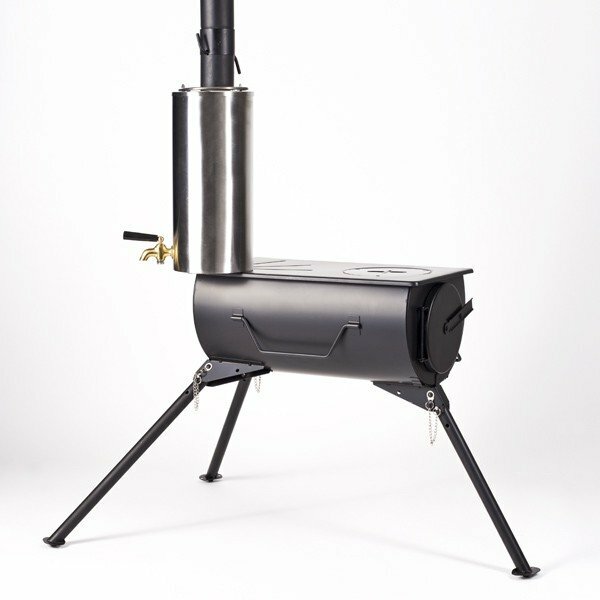 2.5kw of heat with the ability to cook on an open flame. Any chef will tell you that is the best way to cook. You can use your Frontier Stove anywhere your imagination will let you, but be prepared to draw a crowd! The Frontier will be the talking point of any passers by. 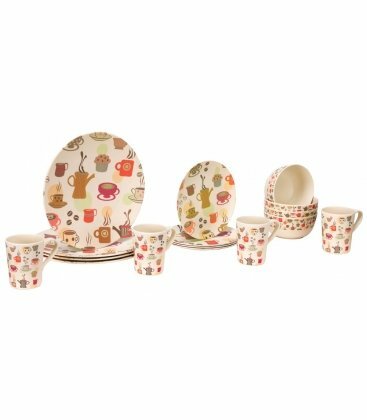 Ideal for Glamping, Campervans, Scouts, Forest School etc. FREE SHIPPING TO MOST UK MAINLAND. 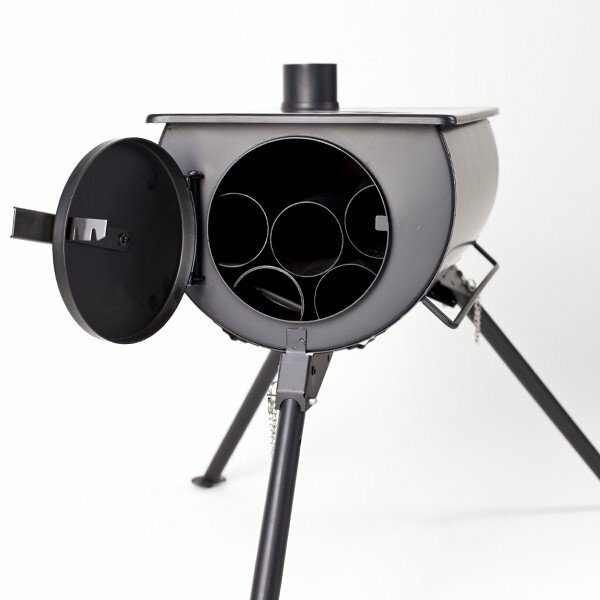 The Frontier stove is a portable log burner that was originally designed for use as humanitarian aid. As this was its original intent it was designed to be both lightweight and compact as well as being very durable. When it is being stored or transported the flue sections can be packed away and stored inside its belly. It also has a handle on its side to make transporting it even easier. With a pack size of 49cm x 28cm x 29cm and a weight of only 10kg, you really can take anywhere you want to. Next time you decide to cook tea on the beach you will be the envy of everyone barbecuing burnt sausages when you are cooking a feast on your Frontier Stove. It is also 10 times more fuel efficient than an open fire, and the long flue helps transport the smoke away from you so that you won’t breath it in. Around one third of the world’s population still cook on solid fuel and breathing in these toxic fumes on a daily basis is a real problem. 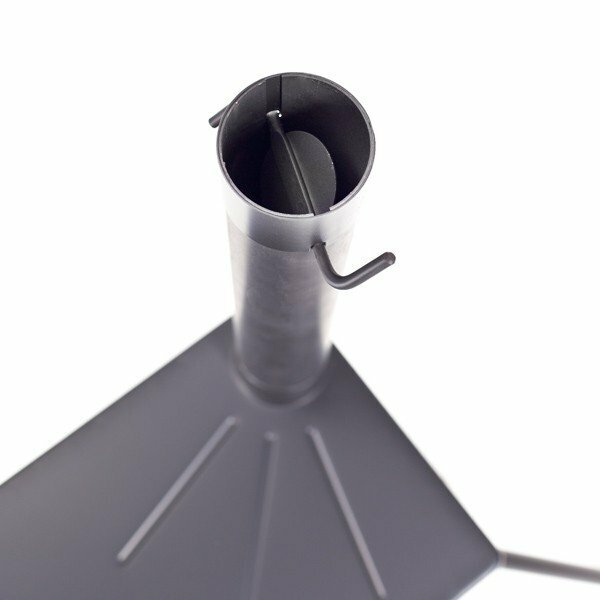 That is why it is designed to have a flue height of 2.41m, to make it safer to cook on. 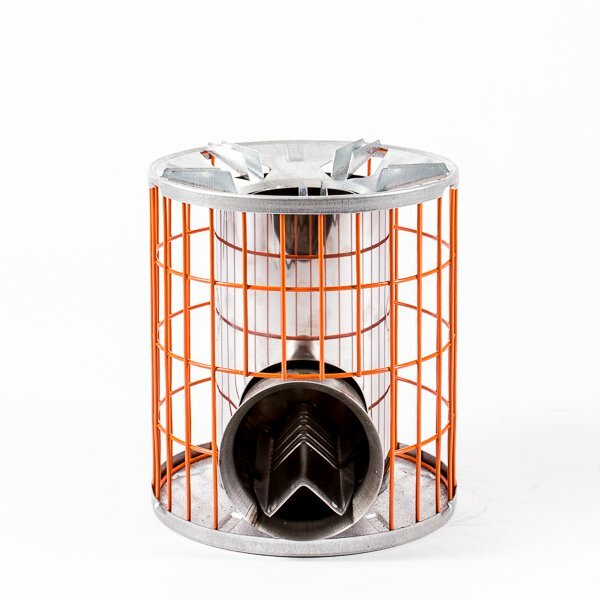 The fact that it has a long flue also makes it ideal for being installed in fire retardant shelters such as Tipis, Bell Tents, Yurts and even sheds! We sell flashing kits so that it can correctly be installed with the flue going out the roof of the shelter. This means that the Frontier Stove can be utilised for heating as well as cooking. The C.O.F.T. 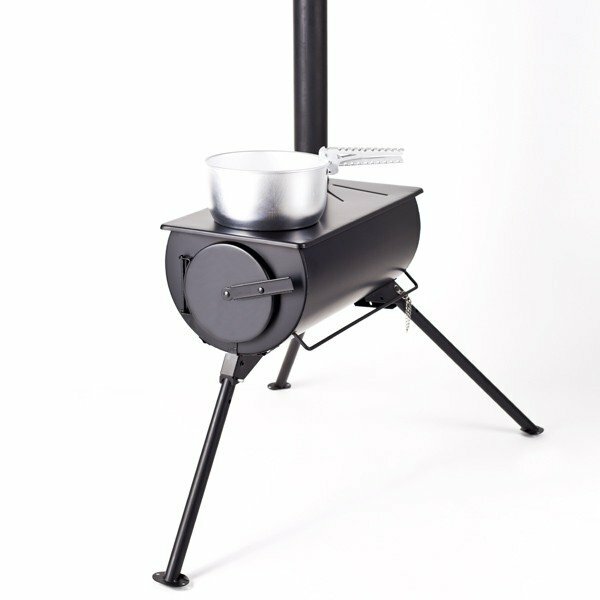 (Controlled Open Flamed Technology) means that the Frontier Stove is fantastic to cook on. There is room for a couple of pans on top of the stove, and you can even remove the hot plate cover so the open flames can lick the bottom of the pot, meaning you have more control over the heat when cooking. There is an extensive range of accessories for the stove to help you make the most out of it, including a water heater that fits on the flue and a spark arrestor to catch any stray embers. It is important to clean the flue out after every 24 hours of use, otherwise it becomes caked up, the draw will diminish and smoke will billow out of the front of the stove. If you are using the stove in an enclosed space this could be very dangerous. We have designed a flue brush, that is sold as part of our care kit, to make this job easier for you. It is recommend that if you are using a stove in an enclosed space that you have a carbon monoxide alarm. The same way you would if you have a stove in your home. 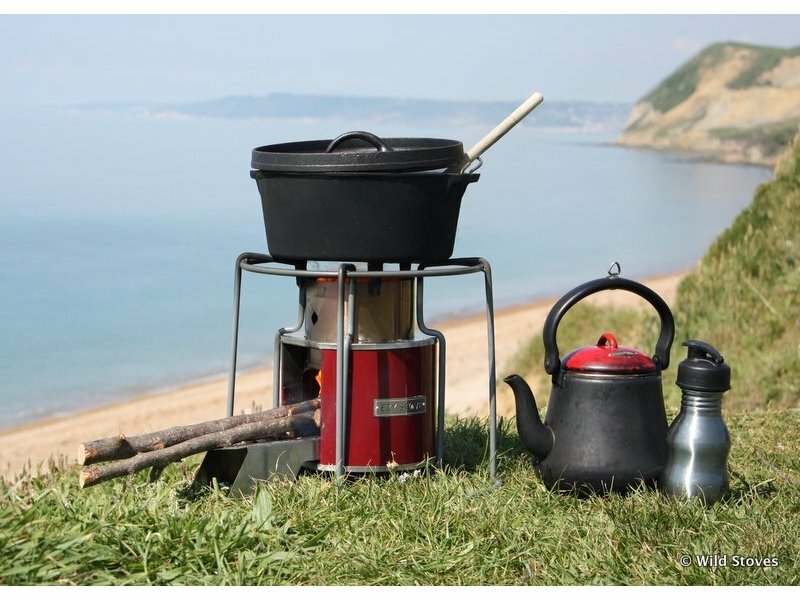 The Frontier stove has developed a bit of a cult following and it is not hard to see why, with its variety of uses, and its quirky charm it is a great conversation starter whilst out and about. 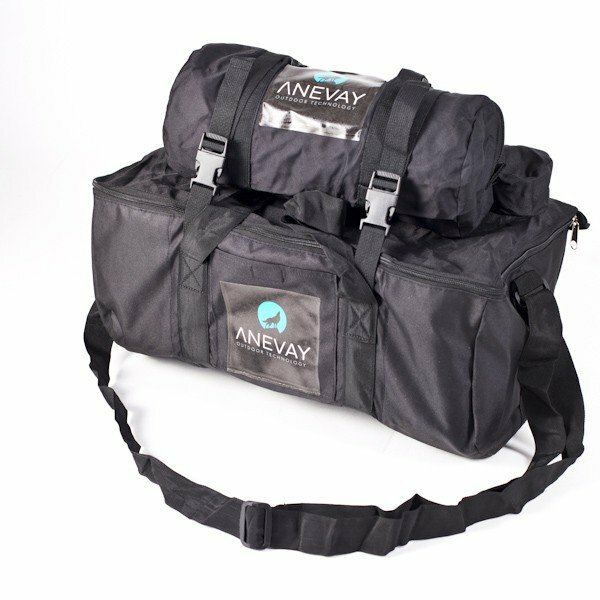 But don’t just take our word for it; take a look at Anevay’s Facebook page for some glowing testimonials from other happy campers! The Frontier Stove water Heater has been designed so you can harness the heat of your Frontier stove and have hot water on tap! It wraps around the bottom section of flue and sits on top of the stove. Once the water has boiled the water heater can be turned around to “hang” from the bottom flue. 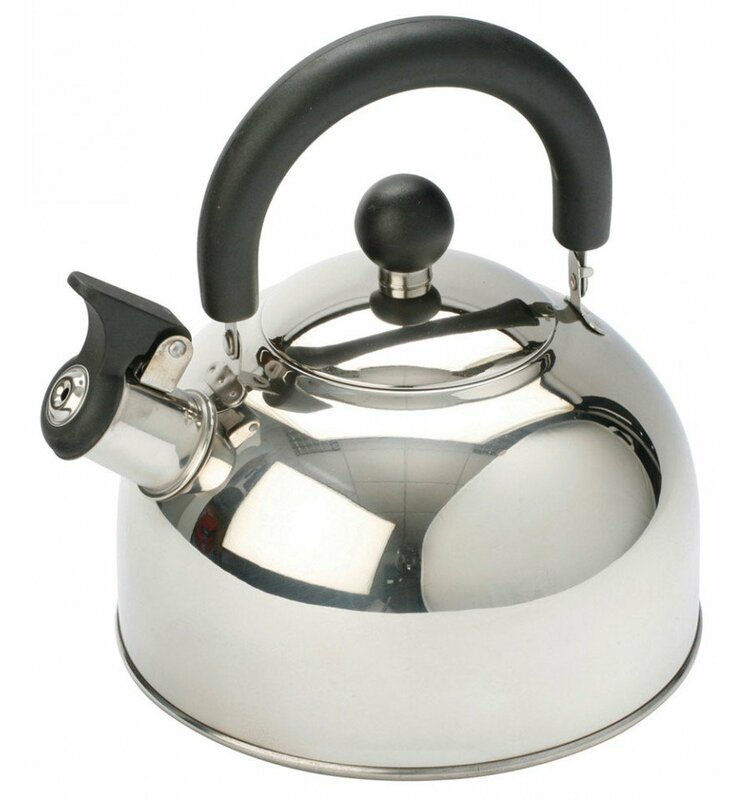 You can use a kettle on the Frontier, but using the water heater means that more of the top plate is free for your other pots and pans. It holds 3 litres of water, but when empty it weighs only 1.6kg. If you buy the Frontier stove bag and water heater bag they can both strap together for even easier transport. The Frontier Stove tent kit has been designed for use with the Frontier Stove in fire retardant canvas shelters such as Bell tents, Tipis or Yurts. 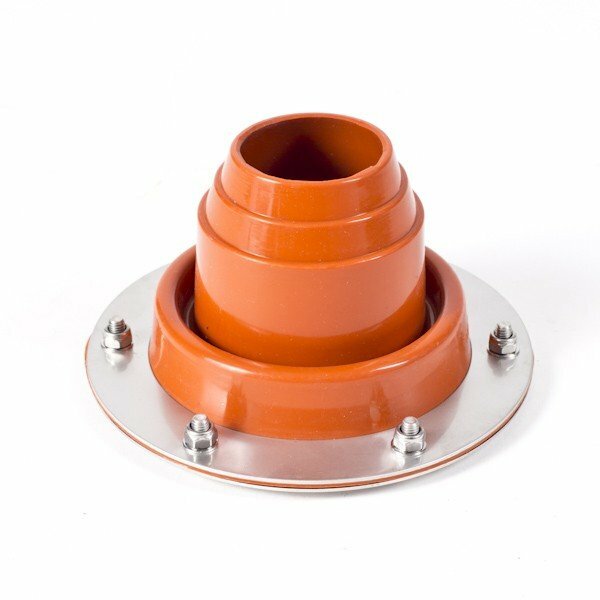 The silicone collar is suitable for temperatures of up to 300 degrees, however it is still best to have this as high up in the shelter as possible, making it as far away from the stove as possible. Fitting your Frontier stove in your shelter will give you a great heat source but it will also mean you can cook whatever the weather. The Frontier Stove Water Heater Carry Bag has been designed to make it even more convenient to carry your Frontier stove and accessories. It is made from 600D Oxford Polyester, which has been reinforced for greater protection. It has a small pocket on the front for smaller accessories. The bag has a full zipper and two straps for added security. 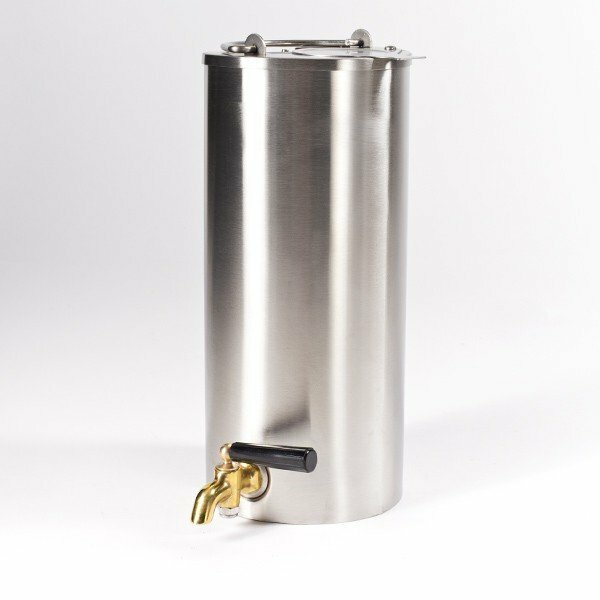 You can even attach the water heater in its bag. The Frontier Stove Water Heater Carry bag is a small zipped bag has been designed to make it even easier to transport you Frontier stove water heater. It can even be strapped onto the stove if you have the Frontier stove bag too. 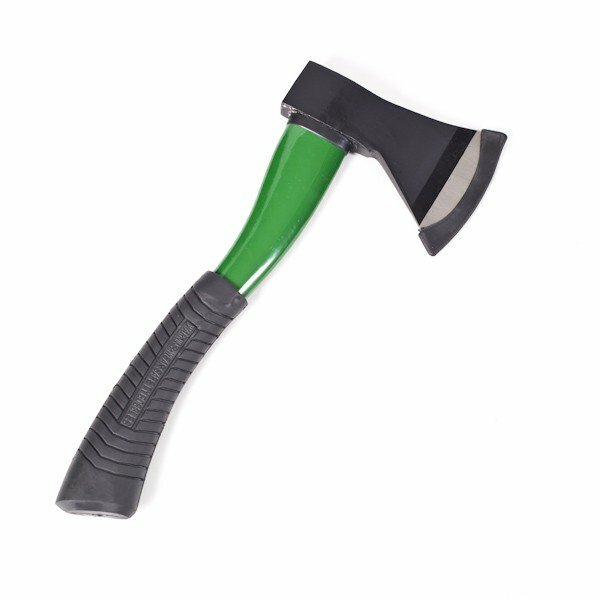 This stylish green axe is ideal for chopping logs and kindling to fit into your stove. It has a thin blade for a clean cut, and an easy grip handle. The perfect accompaniment for your Frontier Stove or Traveller Stove. We accept no responsibility for the use of misuse of the Frontier stove. 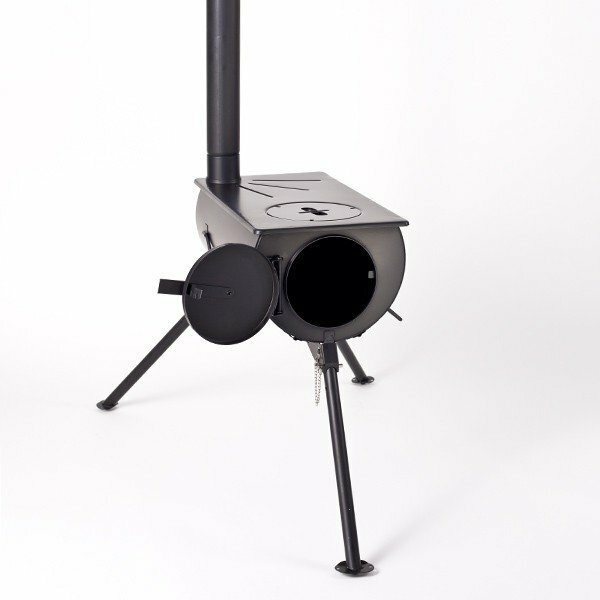 We only recommend this stove for use in fire retardant tent, tipis or yurts. It is the customer’s responsibility to ensure that shelter used has the appropriate fire retardant qualities necessary. We advise you not to leave the frontier stove unattended in the shelter and to make sure it has been extinguished prior to going to sleep. Always make sure that Frontier stove is positioned on something fire retardant like our heat mat, as accidental sparks may go straight through the groundsheet. We do not accept any liability to any party for loss or damage incurred by use of the Frontier stove however caused. I read this article and found it very interesting, thought it might be something for you. 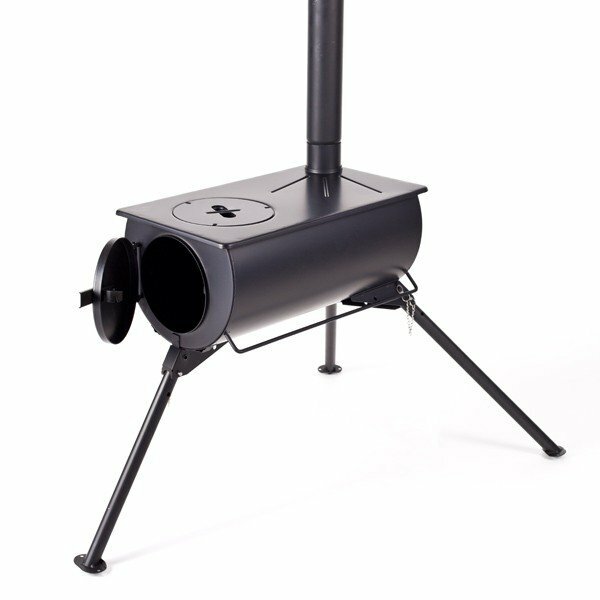 The article is called Anevay Frontier Wood Burning Stove Tent Bundle incl. 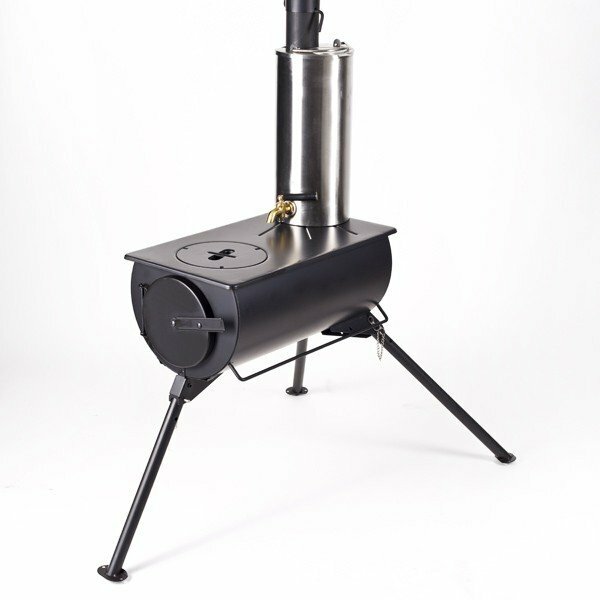 Stove, Water Heater, Tent Flashing, Both Bags and Axe and is located at https://camperessentials.co.uk/shop/anevay-frontier-wood-burning-stove-tent-bundle-incl-stove-water-heater-tent-flashing-bags-axe/.